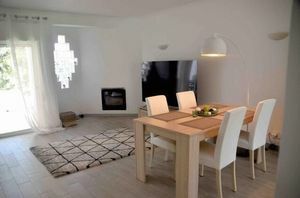 This townhouse has recently been refurbished and furnished to very high standards, mainly in stylish white. 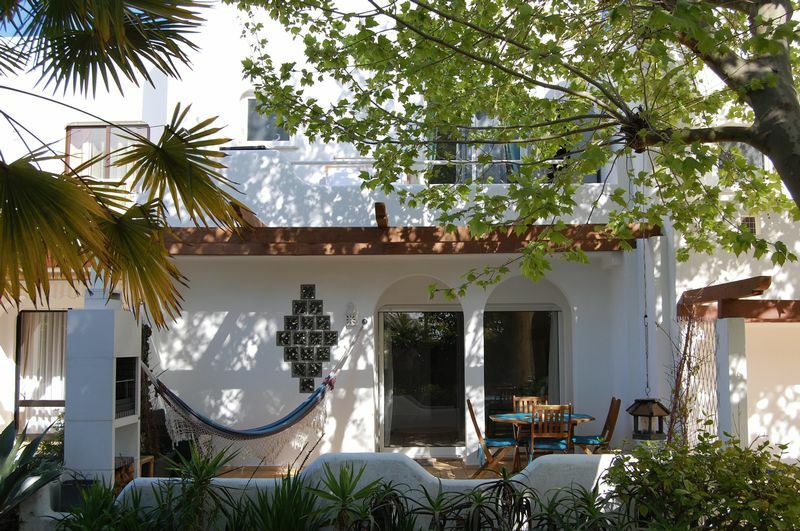 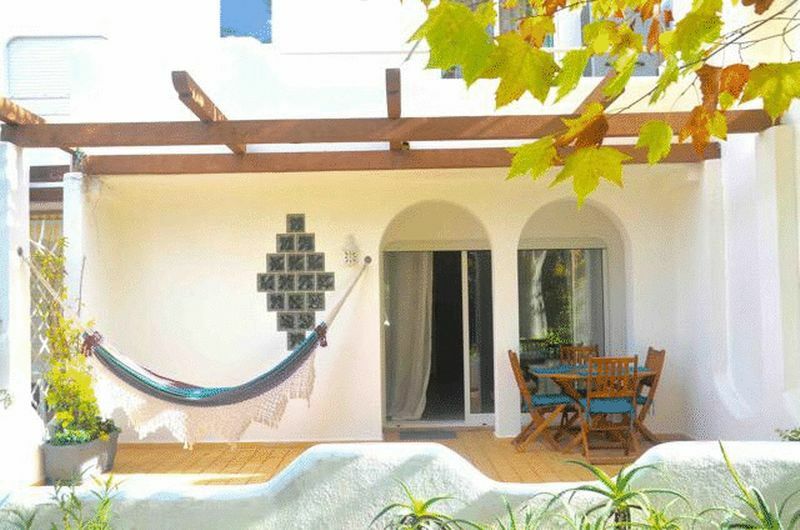 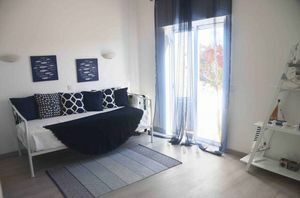 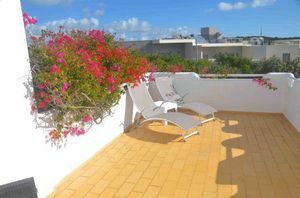 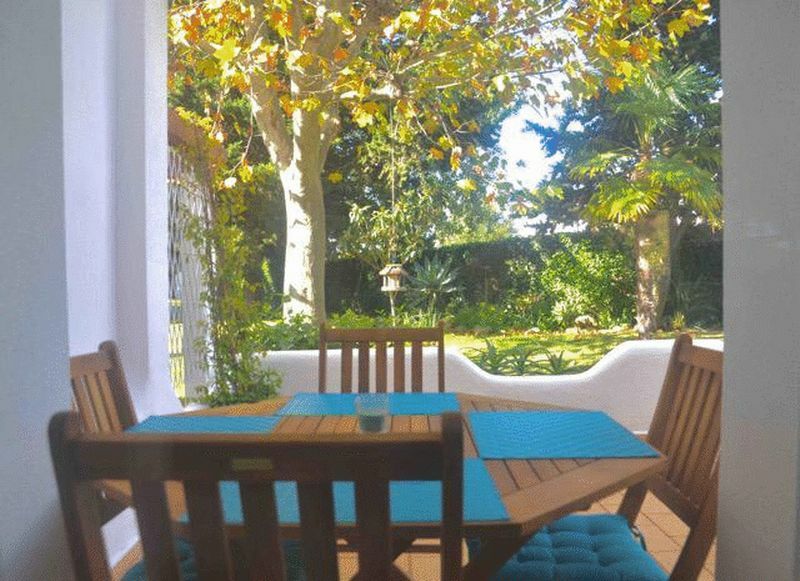 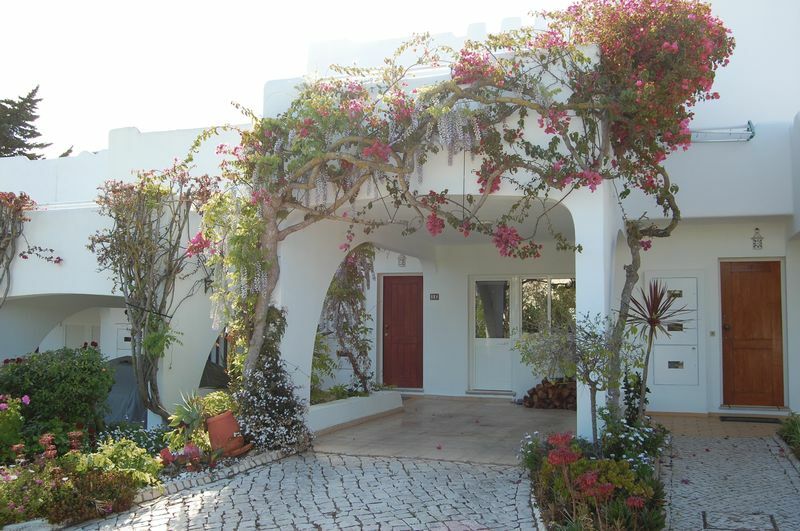 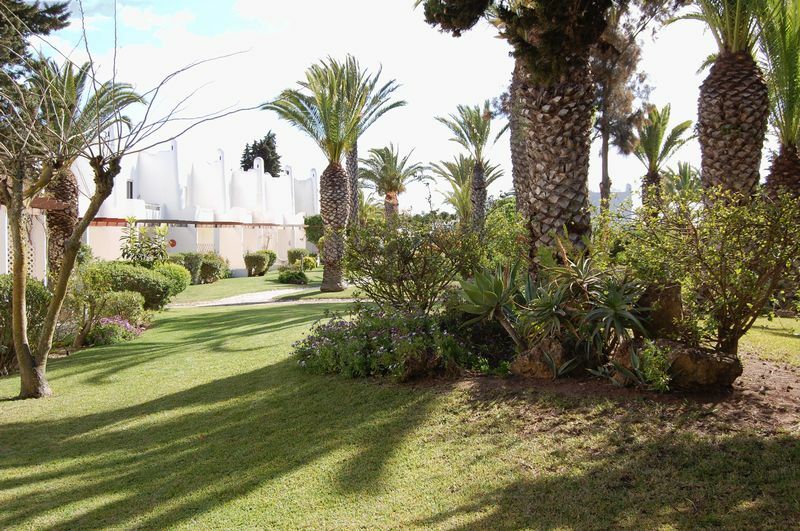 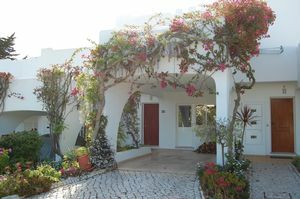 Its situated on a well kept Resort, within walking distance of the very popular Caneiros beach. The Resort has an attractive communal pool, a good restaurant and attractive gardens. 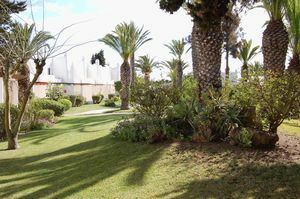 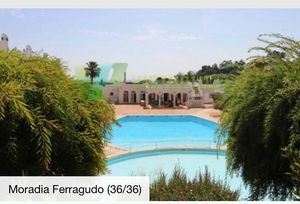 The village of Ferragudo is only a few minutes drive away and offers many restaurants and 2 more safe beaches. 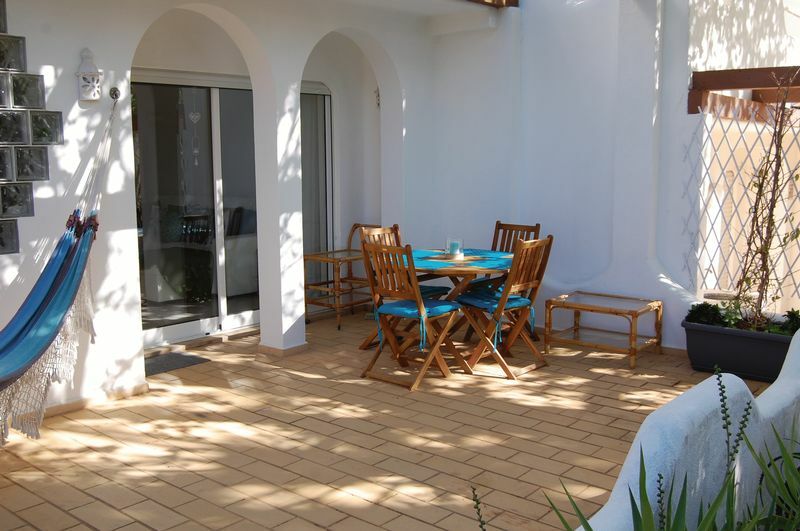 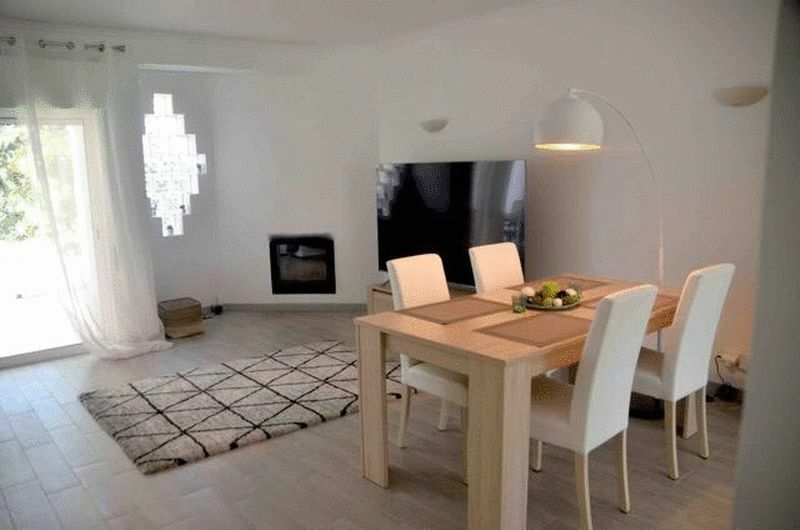 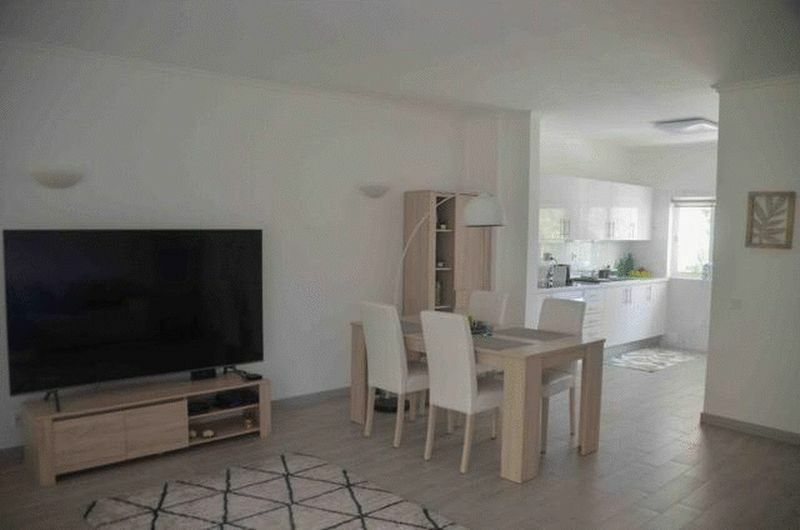 The property consists of an bright modern open plan lounge diner and kitchen and a terrace. 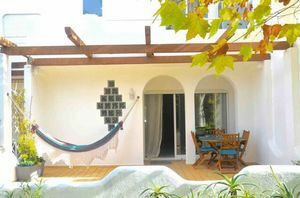 On the upper floor are two en-suite bedroom, both with terraces. 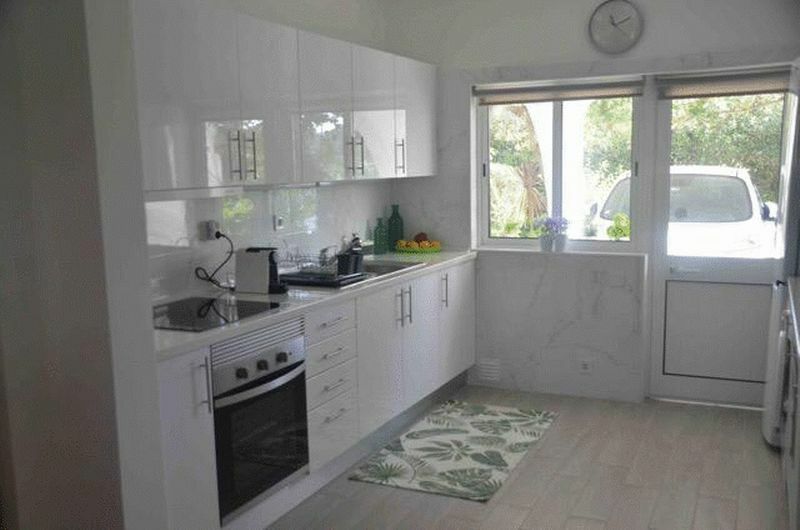 New light grey tiled floor and a glazed door. 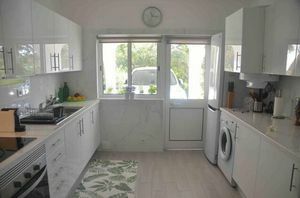 There is under stairs storage and a guest cloakroom. 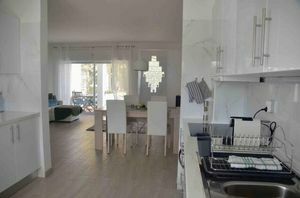 Stylish lounge diner, open plan to the kitchen. Having patio doors to the terrace and the communal gardens in front of the property and a log burner. This open plan kitchen has been beautifully finished with gloss white floor and wall units and white stone work surfaces. 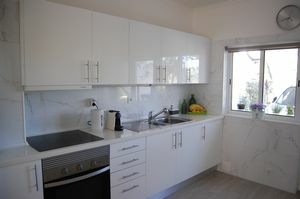 It is fully tiled and is fitted with a washing machine, fridge freezer, oven, ceramic hob and electric water heater. 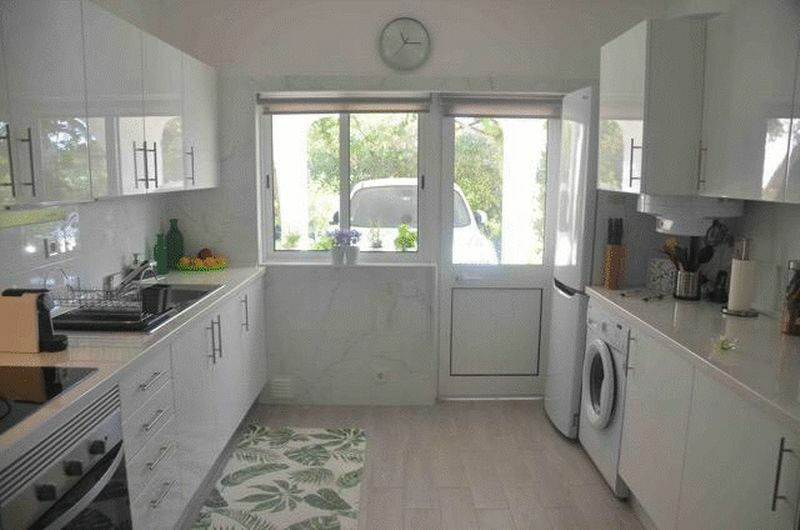 A glazed exterior door leads to the car port and there is an additional window. This bright bedroom has large patio doors leading to a terrace and has fitted wardrobes. 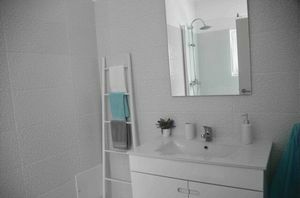 Fully tiles stylish en-suite, fitted with a w/c, single basin with a vanity unit and a large shower with a glass screen. 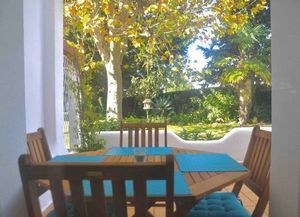 1st floor terrace, with country views. 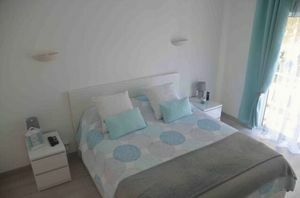 Beautiful bright bedroom with patio doors to a terrace, overlooking the gardens and fitted wardrobes. 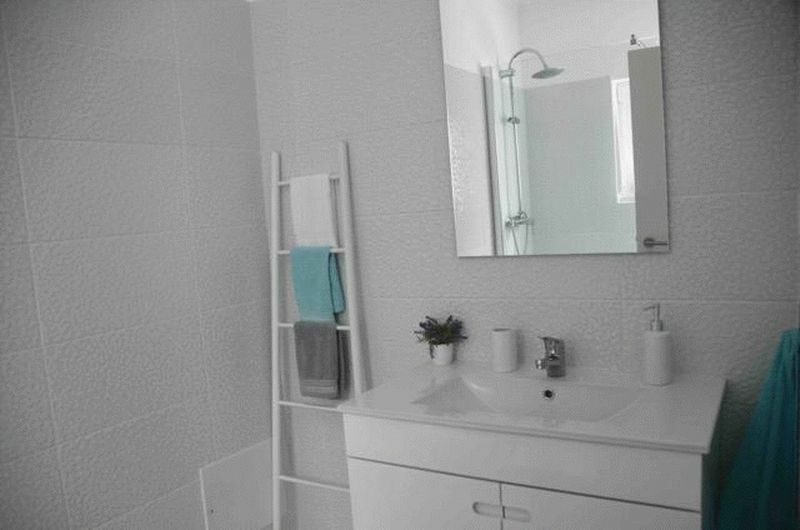 This white en-suite is fully tiled and has aw/c, single basin with a vanity unit and a double sized shower with a glass screen and a window.